2 Colibris saphir azuré, Colibri demi-deuil, Colibri rubis-topaze. Violaceous Trogon, Amazonian White-tailed Trogon, Red-legged Honeycreeper, 2 White-chinned Saphir Hummingbirds, Black Jacobin Hummingbird, Ruby-topaz Hummingbird. 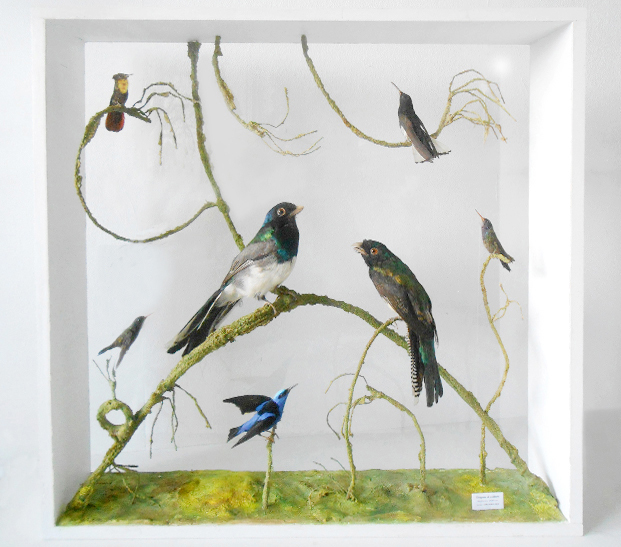 7 South American birds in a case.